My husband and I recently made an agreement that we were not going to moan about the heat. We wanted to come and live in Italy and we knew the summer would be hot so we have no right to whinge. Also, complaining leads to stress and, we reasoned, that just makes you feel even hotter! So, when I say I haven’t been able to stitch a great deal because of the high temperatures, I am just making a statement of fact. In no way I am I whining about the suffocating, inescapable heat or the strangling humidity that there is no respite from, even at night time! No, I am merely explaining why I don’t have a lot to show for a week in stitching. A couple of weeks ago I prepped a little project for my sister’s wedding but it was only this week that I actually made a start on it. Even though I am strongly of the opinion the little minx never reads this blog, I don’t want to show too much of it until she has seen it herself. 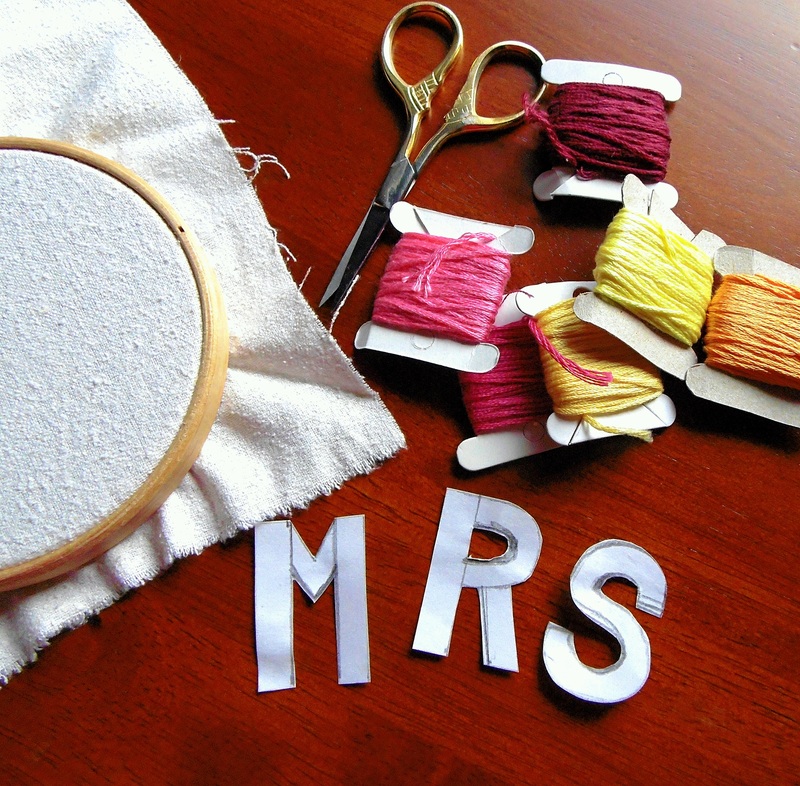 This certainly won’t be the only handmade touch to this wedding – my three sisters are very creative so I am hoping there will be a number of little details I will be able to share in future. It has been so nice to work some French Knots again! It had been ages. 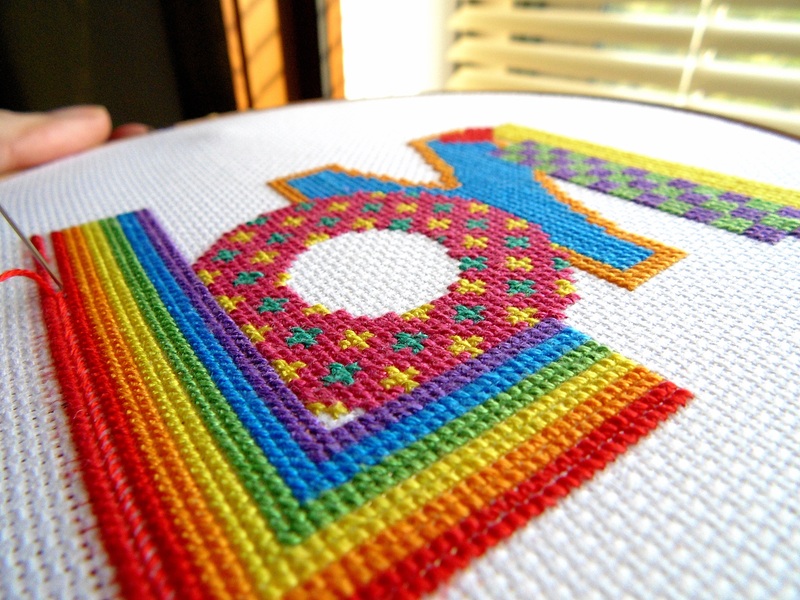 I absolutely love this stitch. 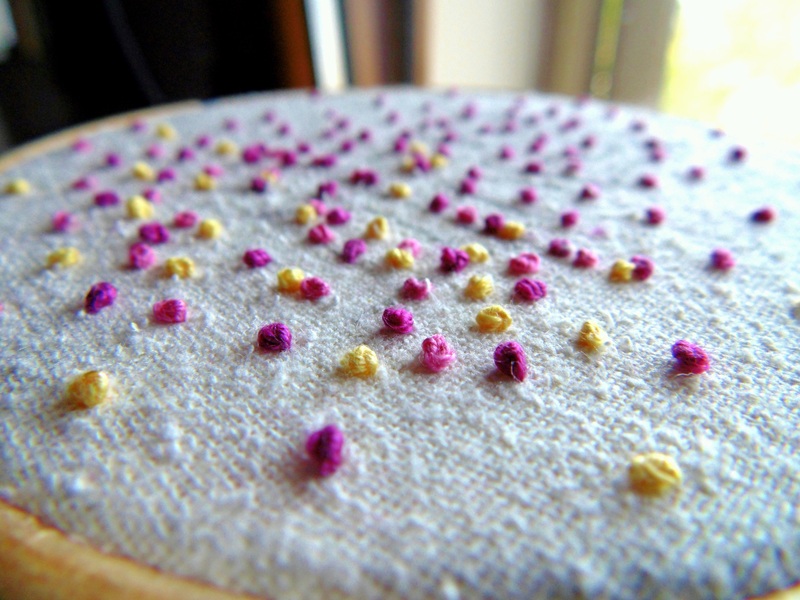 If you are new to reading this blog, I did a tutorial on my fail safe French Knot method a little while ago. You can find it here. Someone actually tagged me on Instagram to say they had tried my method and, for the first time ever, they had managed to stitch French Knots that actually looked like French Knots! I can’t tell you how chuffed I was to hear that. Anyway, this is all I will be able to share of this project until the wedding in four weeks time. I had thought my new cross stitch design was going along swimmingly. On the whole it had, but something about the colours was bothering me. When I had laid out the floss, it had all looked so nice together. 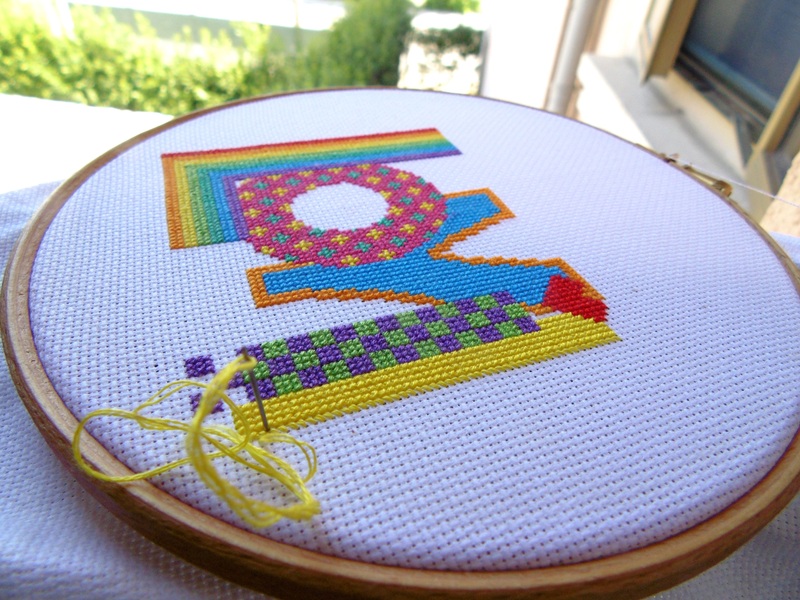 Now I had stitched it, however, the two greens together on the letter L rainbow just looked wrong. Too…green, strangely enough! I ignored it for some time but, after a while I had to give in and unpick nearly all of the L (again!) and remove the jade/aqua green. I think it was worth it though. The colours that remain seem to sit fairly happily together without dominating their neighbours excessively. I have decided to keep the other green elsewhere in the pattern as I think it works really well with the deep pink and yellow. Unpicking your work can can be such a drag but I do find I learn something from each dud decision I make. So that’s something, I suppose! 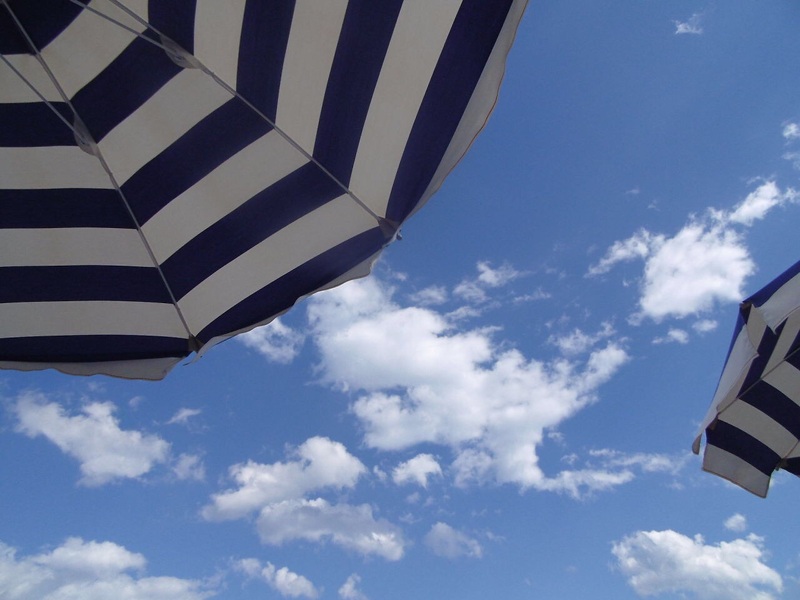 With temperatures soaring even higher next week, we have decided, that we are going to be like our Italian friends and spend as much time as we can by the sea. I asked one of my friends once what her hobbies and interests were and she replied “going to the beach”. It feels almost like a competitive sport here! So, in the interests of soaking up our local culture, we’ll be in Lignano! Let’s see how much stitching I get done under a sun parasol! I love the project and the colors! Hot here too, but with brutal and long winters, I won’t complain either! Hot huh? We’re battling 50 degrees centi here so trust me when I say I know how you feel! I’m excited to see what your wedding project is going to be. The colors look so appealing 🙂 And the love project looks striking too! Oh my! I can’t even imagine! I take it you are fully air conditioned? Our apartment isn’t and we are right in the eaves of the building so it is like an oven. It all looked so charming to our inexperienced, Brit eyes when we took it….we are wiser now 😂. I will think of you next time I want to complain about being too hot! So glad you like the projects. Thanks for stopping by! Hehe… yes we are fortunate enough to have airconditioning 🙂 Outdoor activities are a strict no-no in summer. Unless of course you enjoy the feeling of losing half your body weight as sweat. I’m laughing at your opening paragraph and love how you state a fact without complaining ^^ Enjoy your time at the beach, and never mind if you don’t get much stitching done. I try not to complain too, but it’s so haaaaaaard not to! 🙂 I think you made the right decision to change out that green. The project looks great! I hate french knots with a passion! Will definitely try your method! As a fellow Brit abroad, without air con, I totally get you! 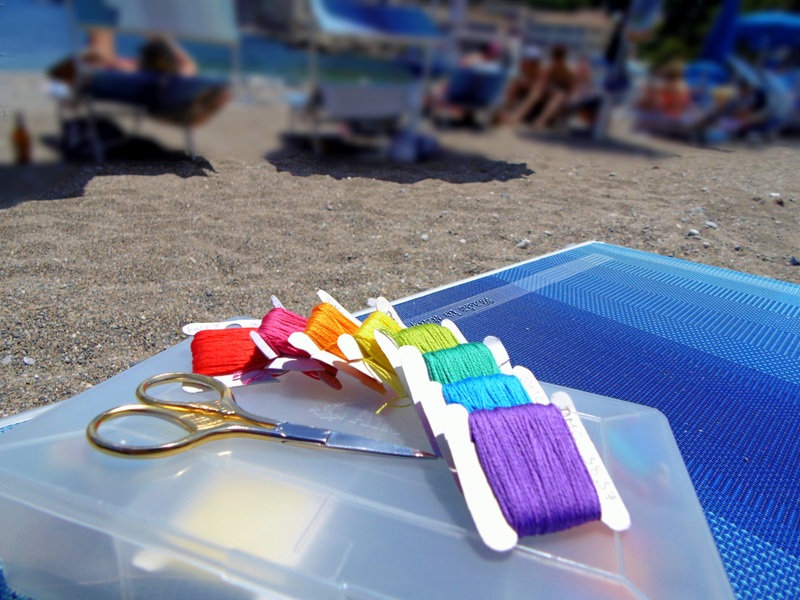 Happy seaside stitching! Oh poor you! We caved a while ago and bought a small portable unit so we can at least get some sleep. The rest of the apartment though….😓. Thanks for stopping by! I certainly hopes the little minx reads this blog. A lot of work is going into this present. Can’t wait to see the finished product. If it’s anything like mine, she’ll love it and talk about it to everyone who sees it, even if they don’t ask to hear about it!